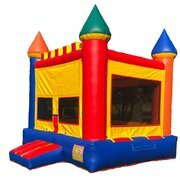 Bounce Houses for backyard parties girls or Boys. 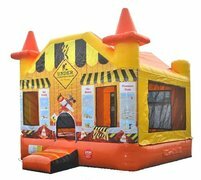 Bounce Houses are great for Birthdays parties, these inflatables bouncy castle or moonwalks could fit almost anywhere!!! front yard, driveway, backyard, they can be set up indoors too like a school or church gym. Under Construction Bounce House "Watch the Video"